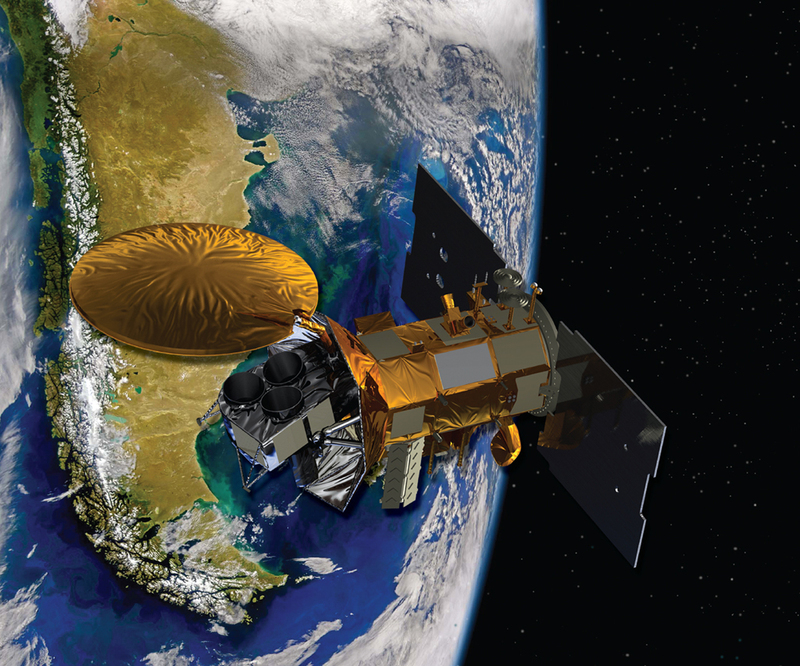 Artist's concept of the Aquarius/SAC-D spacecraft, a collaboration between NASA and Argentina's space agency, with participation from Brazil, Canada, France and Italy. Aquarius, the NASA-built primary instrument on the spacecraft, will take NASA's first space-based measurements of ocean surface salinity, a key missing variable in satellite observations of Earth that links ocean circulation, the global balance of freshwater and climate. Credit: NASA. View larger image. This graphic depicts the location of NASA's Aquarius instrument on board the SAC-D spacecraft. Credit: NASA. Salinity information is critical to improving our understanding of two major components of Earth's climate system: the water cycle and ocean circulation. By measuring ocean salinity from space, Aquarius provided new insights into the massive natural exchange of freshwater between the ocean, atmosphere and sea ice, which—in turn—influences ocean circulation, weather and climate. Learn more about the Aquarius/SAC-D mission here.